First Step: Tag Your Trees! If you haven’t done so already, you should tag your trees. A tag is like a category – any tree can have multiple tags. This is the first step to being better organized. Start at My Trees, and select a tree. 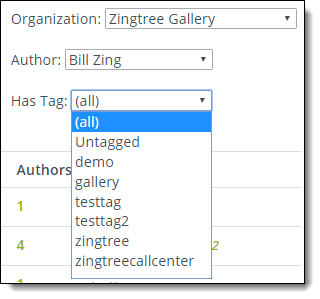 For Authors: Filter your list of trees by tag in the My Trees tool. 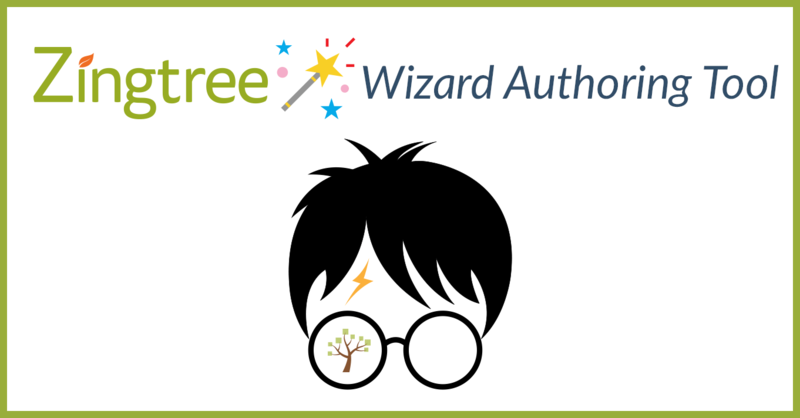 For Authors: Use Tree Search to enter a list of tags to find trees that have any or all of the desired tags. For Agents or End-Users: Authors can use new Macros to present a list of trees to an end-user that contain any or all tags in a list. Select a tag, and you’ll see all the trees that have that tag. Match Tree Tags (any): Enter a comma separated list of tags. The results return a list of trees that include any of the tags in the list. Match Tree Tags (all): Enter a comma separated list of tags. The results return a list of trees that include all of the tags in the list. Inside the content area of any tree, you can insert a special macro to show all the trees in your organization that match any or all tags in a list. You can examine the Tree Tag Demo in the Zingtree Gallery to see how this is done. 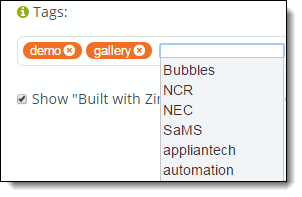 In the examples above, replace tags with a comma separated list of tags. treetaglist-any will return a list of trees that match any of the tags in the list. 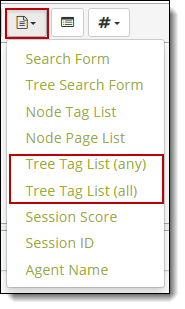 treetaglist-all returns only those trees that contain all the tags in the list. #treetaglist-any: demo,gallery## – matches trees that are tagged with either demo or gallery. #treetaglist-all: demo,gallery## – matches trees that are tagged with both demo and gallery. Node #6 from the Tree Tag Demo in the Zingtree Gallery shows how this is done. Try it! Our customers Corey and John asked for a way to send a list of tags from their Help Desk system, and open a specific tree or show a list of matching trees. Here’s how to do it. Go to My Trees, and click Search. Use one of the tree tag searches. In the search results, click the Integration Link Template button at the bottom of the page. 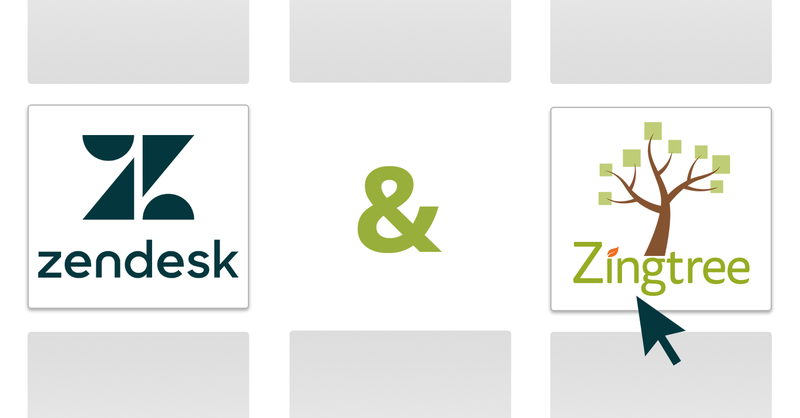 This will show you a URL to use as the basis for linking from your Help Desk/CRM system to the Zingtree search. 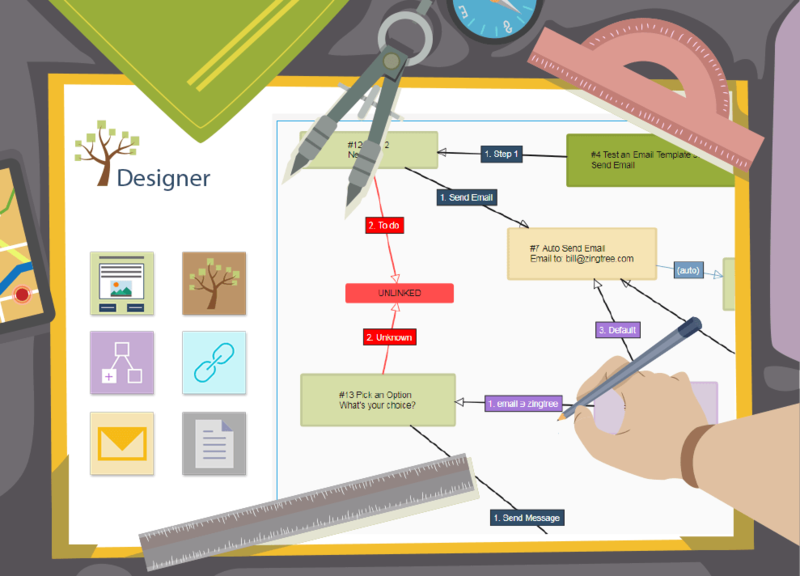 You can add style parameters to this link from the Advanced Hosting Options page as well to ensure your trees appear with the desired look and feel. This link is derived from a search in the Zingtree Gallery. The search, style and transition parameters are changed from the template example to customize the result. Thanks to Corey, John, Elise, Trey and a few others for sharing their tree management needs. If you have a suggestion, comment, or question, please reach out and talk to us!